« Are you missing out on the power of checklists? 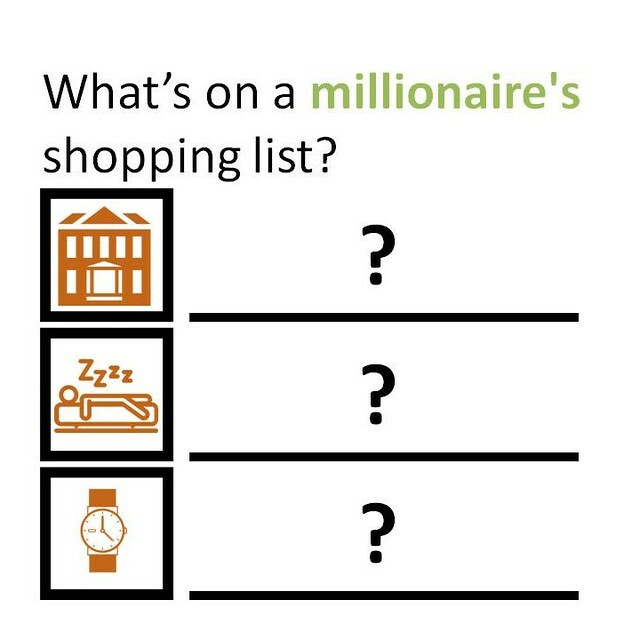 Stanley walks through differences between (high net worth vs. high income) individuals in purchasing habits for items that people typically buy to display their money. The items reviewed are: (Car, Alcohol, Clothing, House). Thesis: Success is not purchased it is achieved. Since I was already understood Stanley’s big point of, most millionaires do not spend and act the way you see mega millionaires spend in pop-media, what I took away was a list of shopping recommendations and a big thought about success. Stanley emphasised multiple times in the book, based on his research, individuals who are purchasing high-end prestige goods above their means are linking success to buying things rather than accomplishing goals. If you build a successful business, climb the corp. ladder, or invest in a way that you are able to buy a prestige good below your means, great!!! The individual who does that, knows they are successful because of what they have achieved. Someone on the other side seeing just the goods and not the hard work buys the goods confusing the link between success and the goods. This confused link also makes its appearance in a phrase like, “you need to enjoy your success”, typically used to imply that success becomes real once you have bought something. Stanley encouraged me to press forward in working towards achievement in my vocation and to continue to ignore the prestige goods. Stanley profiles the survey purchasing habits responses from effective wealth builders and talks in detail about the brands they buy. I found it to be a helpful shopping list from financially wise people who keep their eyes looking for the best intersection of cost and value. After reading the book, I need to bring my haircut spending back in I realized. I’d also been thinking about getting a watch, now I have a couple of value brands as a starting place. I found this so helpful because it seems like the details on how to not spend are legion, but when it’s time to spend, what is the very best value? And the best seller on Amazon isn’t necessarily it. What items do you feel more drawn towards in spending extra for prestige goods? Tell me about in the comments and we can help encourage each other. it does NOT cost you anything extra but Amazon does send me a tiny % as a thank you. please purchase it through one of the links here. Very well written feedback Samuel!! Do you have any types of books that you would like to see some recommendations for?